Read about the playwright, the characters and some fun facts ahead of MTC’s quirky and fun production of Egg. 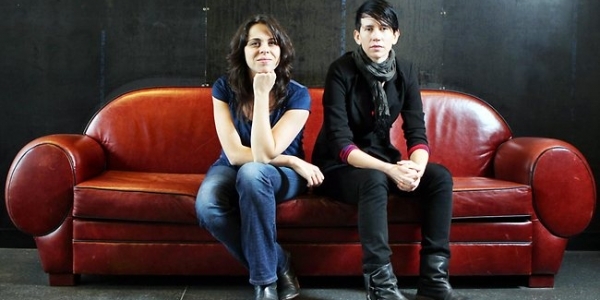 Angela Betzien (pictured left) is a multi-award winning writer and a founding member of independent theatre company RealTV, whose work has toured widely across Australia and internationally. Recently, Angela’s new play Mortido played at Belvoir and State Theatre Company of South Australia. 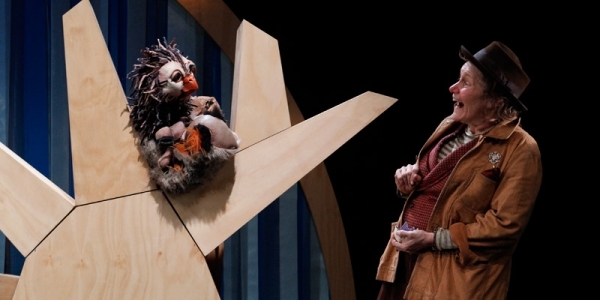 Her play The Dark Room won a 2010 AWGIE Award and the 2011 Sydney Theatre Award for Best New Australian Work. For Hoods, Angela was awarded the inaugural Richard Wherrett Prize for Excellence in Playwriting; and her play War Crimes won the 2012 Kit Denton Disfellowship and the QLD Literary Award for Playwriting, and was nominated for a NSW Premier’s Literary Award in 2012. Angela’s play Children of the Black Skirt toured Australian schools for three years and won the 2005 Drama Victoria Award for Best Performance by a Theatre Company for Secondary Schools. Her other works include Helicopter (Melbourne Theatre Company); Tall Man (Creative Regions); The Teenage Alchemist (Commissioned By Atyp And Camp Quality); Princess Of Suburbia (RealTV); Wickfield Wonderland (Canberra Youth Theatre) And The Kingswood Kids (La Boite). The world premiere of Angela’s latest play The Hanging takes place in August 2016 at the Sydney Theatre Company. 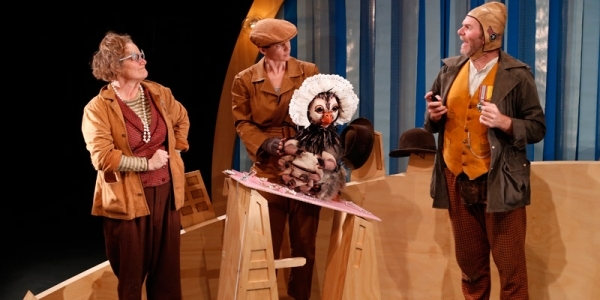 The play is a co-production with Tasmanian-based Terrapin Puppet Theatre, who has been the centre of excellence for contemporary puppetry in Australia for more than 34 years. 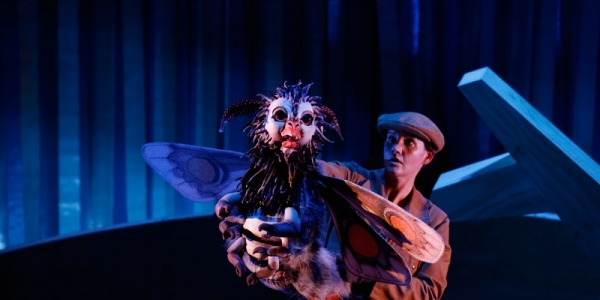 Their puppetry-based performances cater to all ages, and balance new technologies with traditional puppetry craft. Genevieve Morris plays Horse, a tinker. Jim Russell plays Clyde, another tinker. Michelle Robin Anderson is the puppeteer. Across a dry and dusty desert in the land of Meridia, two tinkers, Clyde and Horse, drag an enormous egg. They can’t remember how long they’ve been dragging it, or why they’ve been dragging it, or where they are dragging it to. All they know is that it’s really important. Life on their big bald egg of a planet depends upon it. So there’s nothing to be done but to go on. Maybe eventually they’ll figure out what the great big googy is for. And maybe it will be wonderful. The play is filled with strange things such as Forget Me Yes spray, eggfruit, and tinkering songs. Although it’s set in a world very different to ours, some elements are not so different. 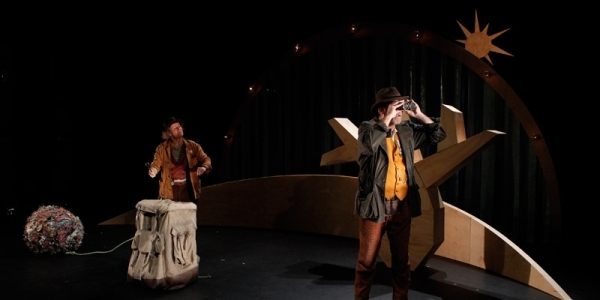 We recommend the play for people ages 8 to 12, and their families. 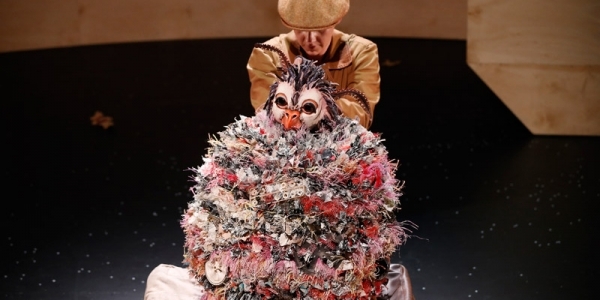 The puppet in the play is made from all recycled materials! Download the colouring in here. In Meridia, they are running out of goog, but on Earth, we are running out of some things too. Some animals, plants, icebergs and more are slowly disappearing forever. We have to be careful not to hurt the environment, and here are some ways you can help. Always separate your rubbish into things that you can recycle (recyclables like paper, some plastics, glass, aluminium and metal cans, for example), and that you can’t recycle. If you have a garden, you can even save all your food scraps to make compost to help the plants grow. Before you throw something out – maybe a t-shirt you don’t wear any more or an old toy you haven’t played with in ages – see if someone else could use it. Maybe a friend or neighbour, or else perhaps a charity shop. Think about what kind of everyday things you throw away, and then brainstorm some ways of replacing those things with something reusable instead. For example, use a reusable drink bottle instead of buying bottled water. Use both sides of the paper when you’re drawing something – unless you definitely plan to stick it up on the wall. Say no to plastic bags. There are lots of cool coloured green bags or tote bags you can use when you go shopping instead, and some of them roll up really small so you can carry them with you at all times – you never know when you’re going to need one!